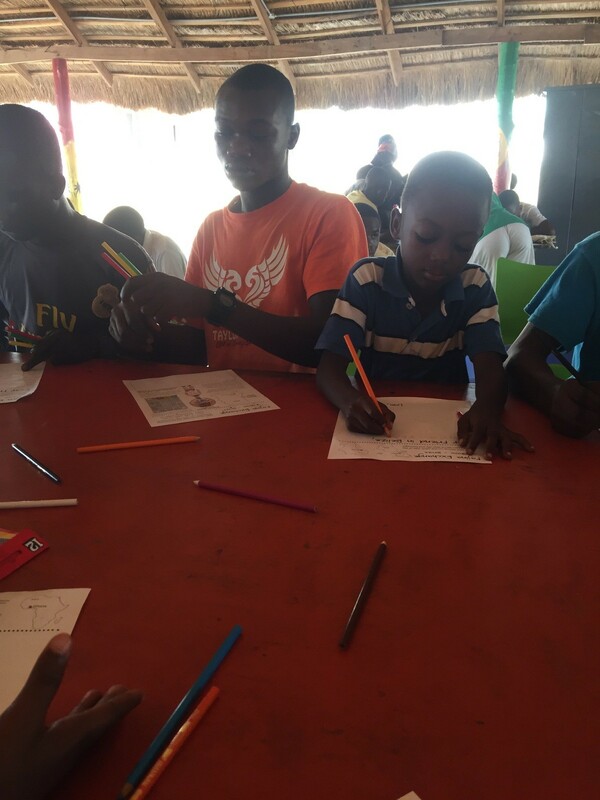 In January 2017, Fajina Archaeology Outreach expanded our outreach across the Atlantic Ocean to Ghana and the Touch A Life Care Center (TAL). TAL cares for children rescued from forced labor and exploitation around Ghana. TAL focuses on Art Healing to help the kids express themselves and heal. Over 75 kids live at TAL, are sponsored to go to school, and eventually are supported after they reach adult age. Through our connections to TAL, we organized an archaeology and cultural heritage activity called Fajina Exchange. We prompted the kids to explore Ghanaian heritage and write a letter to exchange with a new friend in Belize. 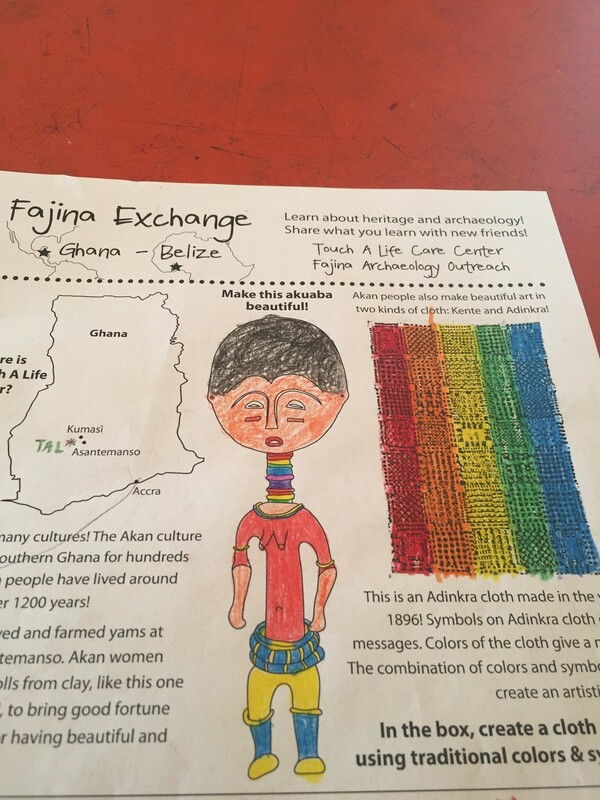 The artistic activities and letters created on the Fajina Exchange sheet will teach Belizean kids about Ghana and the TAL kids. 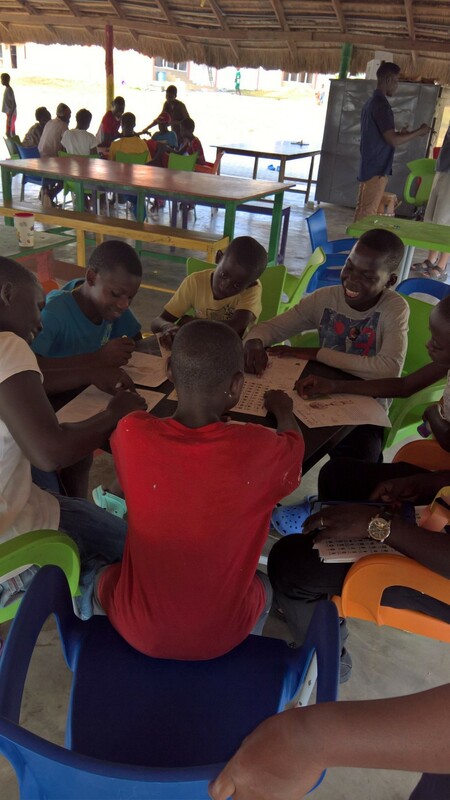 In Summer 2017, kids in Succotz, Belize will write letters of their own to tell their new Ghanaian friends about themselves and their heritage. We are currently working to expand this fajina partnership with TAL!